A concrete ping pong map, very near the children playground. 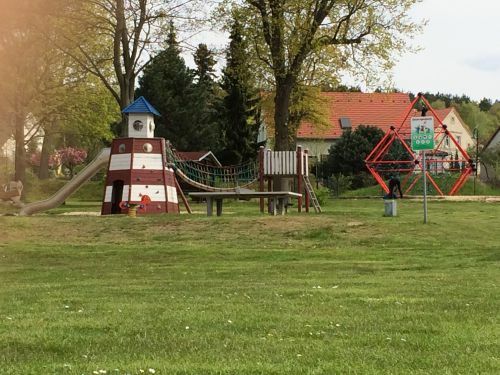 A concrete ping pong table, under the trees, very near the children playground. Gute Platte in ruhiger Lage, die selten, fast nie, belegt ist. 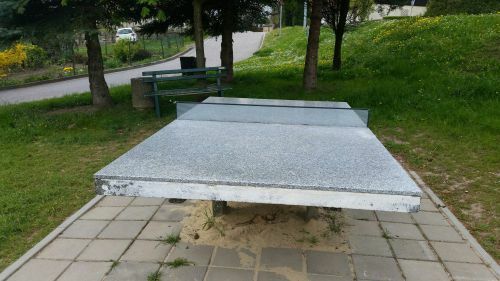 betontafel met beton"net" op het schoolplein. 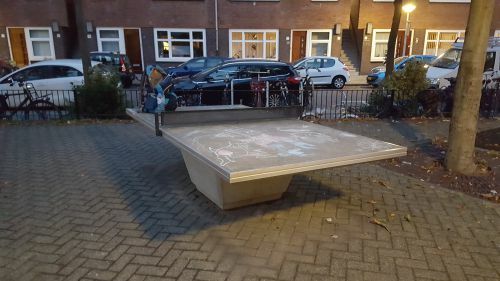 kromme nieuwe pingpong tafel.